Hekima Place was founded in 2005 by Kate Fletcher, who left her life in Pittsburgh, Pennsylvania to volunteer with AIDS orphans in Kenya. Kate spent some of her own childhood in an orphanage in Philadelphia and then moved to Pittsburgh to become a Sister of the Divine Redeemer. Later in life she was a teacher, lab technician and nursing home administrator. After marrying Dr. Leonard “Fletch” Fletcher, the couple devoted countless hours to an impoverished Appalachian community in West Virginia. Sadly, Kate was widowed at a relatively young age in 2002, and began to feel called again to a life of service. At that time, Kate recalls, experts were predicting that over 20 million children in Africa would be orphaned from AIDS. Through research, she discovered a children’s home in Nairobi, Kenya, one of the countries in Africa hit hardest by the HIV/AIDS epidemic. Kate, who had spent part of her own childhood in an orphanage, knew firsthand the devastating impact of poverty and illness on children—and the challenges of providing orphaned children with a safe, loving, and family-like home. In 2003, Kate moved to Nairobi and immersed herself in the challenging new role of full-time volunteer. Working with boy and girl children, Kate saw the increased risks facing girls- like sexual violence, trafficking, child marriage- and the limited services to protect and support them. With funding from friends and her church community in Pittsburgh, Kate dedicated her life to caring for these orphaned and vulnerable girls. In 2005, with the support of a Board of Directors in the United States, private donors, and several Catholic churches in Pittsburgh, Kate founded Hekima Place. Starting with 10 girls on rented property, we have supported over 90 girls and we now have our own campus. Kate recently celebrated her 80th birthday with Hekima Place supporters in Pittsburgh. 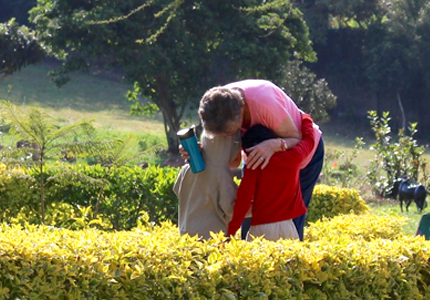 She continues to live onsite in Kenya and help care for our girls. The Hekima Place family also includes an executive director of our home, Jenny Mushiringani-Monjero, and 25 dedicated Kenyan house mothers and staff members, as well as numerous volunteers who travel from around the world each year to assist us in our work. Learn more about Kate’s story, in her own words, and the history of Hekima Place by watching our feature video from 2008. Our story is vibrant, joyful, and continues to grow and grow… We hope you will join us in writing the next exciting chapter! 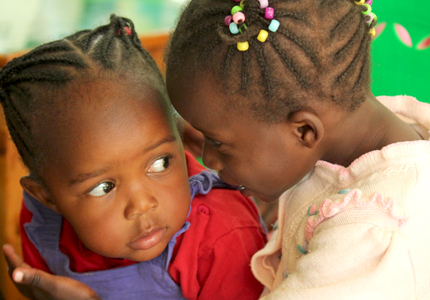 Learn more about ways you can get involved with our work in Kenya.